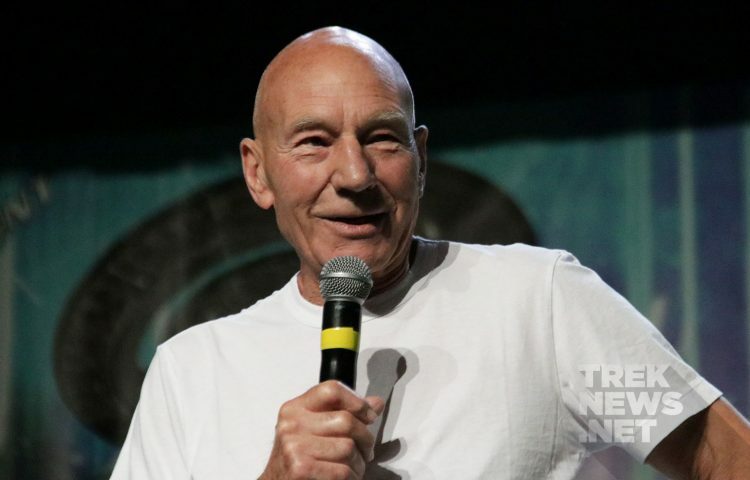 In some major news just announced at Star Trek Las Vegas, Patrick Stewart will return to the role of Jean-Luc Picard in a new series on CBS All Access. The new series will join Star Trek: Discovery and the Discovery shorts that were announced last month for the the online subscription service. While details on the new series are minimal, Stewart did acknowledge that the Picard we will see on the series may be much different than the character we last saw in the final TNG-era film Star Trek: Nemesis. “It would be a voyage that I would never take again until earlier this year.” he said, as the anticipation built. 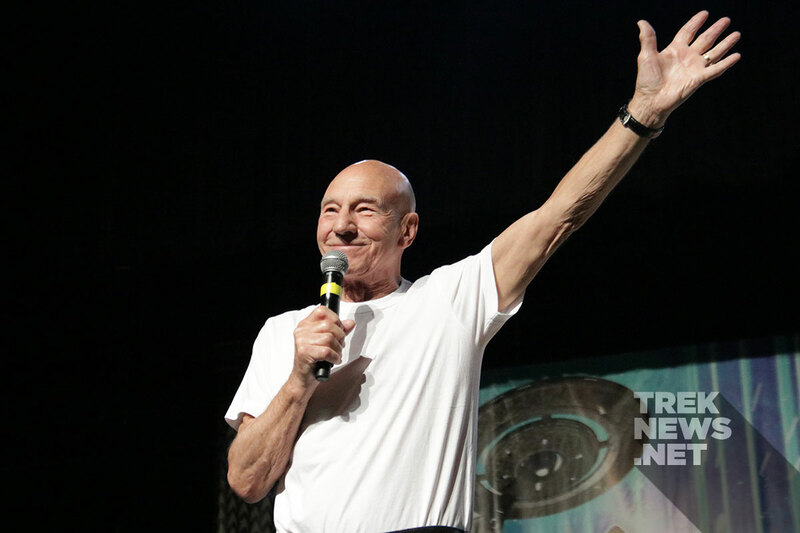 “Jean-Luc Picard is Back!” Stewart exclaimed, as the Lass Vegas audience erupted in cheers. “He may not… and I stress may not be a captain anymore…” he warned, “He’ll be someone who has been changed by years have passed.” No script yet, just talking story lines. During these past years, it has been humbling to hear stories about how The Next Generation brought people comfort, saw them through difficult periods in their lives or how the example of Jean-Luc inspired so many to follow in his footsteps, pursuing science, exploration and leadership. I feel I’m ready to return to him for the same reason — to research and experience what comforting and reforming light he might shine on these often very dark times. I look forward to working with our brilliant creative team as we endeavor to bring a fresh, unexpected and pertinent story to life once more. With TrekNews.net staff on the ground in Las Vegas, we’ll have more on this breaking news shortly. 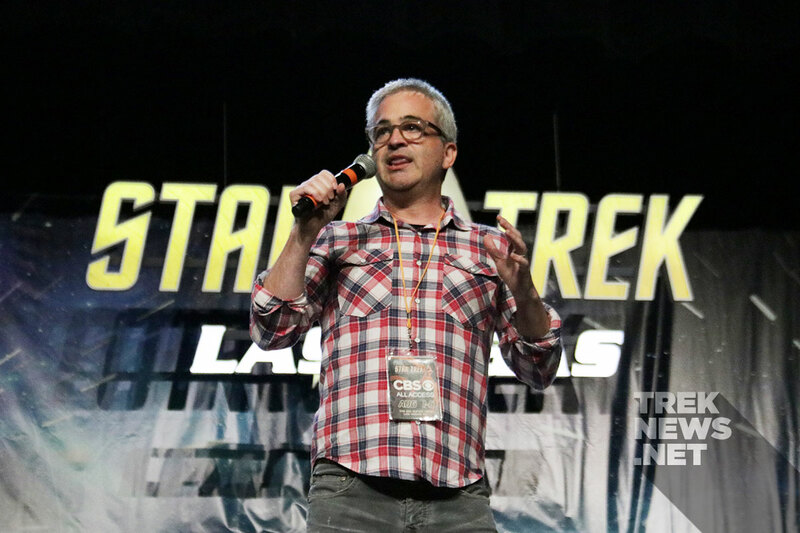 Stay tuned to TrekNews.net for exclusive updates, photos and news from STLV! Connect with us on social media: @TrekNewsNet on Twitter, @TrekNews on Facebook, and @TrekNews on Instagram.